Direct from sample, label-free characterization of Extracellular Vesicles with no purification required. A step forward in characterization capabilities within the extracellular vesicle (EV) field. The fully automated platform provides multi-level and comprehensive EV measurements for particle size analysis, EV count, EV phenotype, and biomarker colocalization. 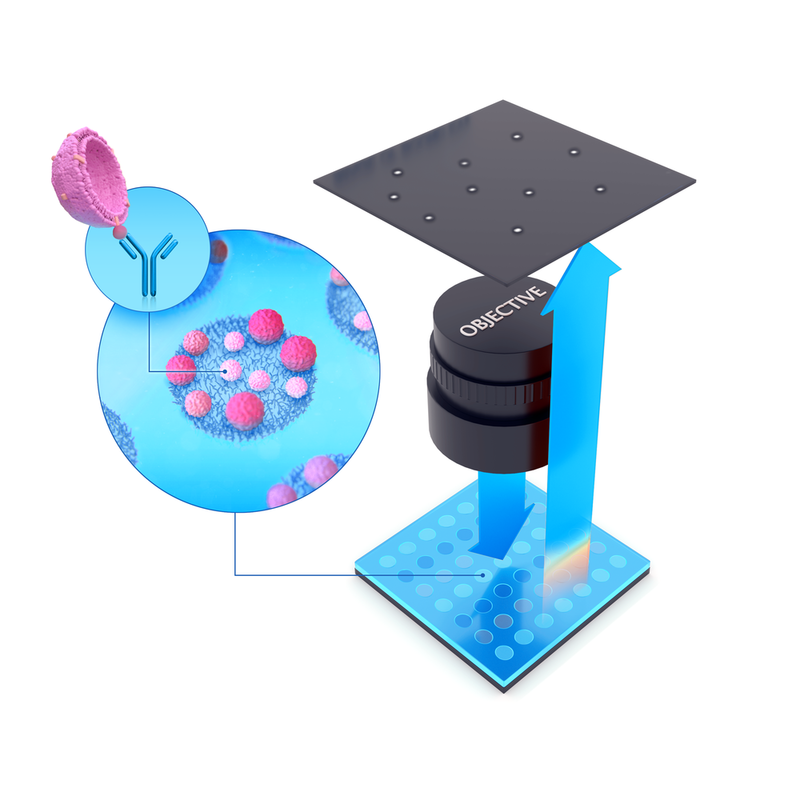 The ExoView™ platform provides previously unattainable information in a single, bias and purification free sample workflow. ExoView™ bridges the gap between the requirements of the EV researcher and the capabilities of existing analytical equipment. ExoView™ measures direct from sample without the need to purify, and provides multiplexed analysis of EVs size, count, and phenotype without the need for fluorescence labels. Eliminating the need for purification and labeling removes many of the biases associated with sample preparation. ExoView™ provides critical information that will assist in the translation of EV research into the clinical and therapeutic environments. Detect and characterize EVs using many surface markers from a single sample. Link phenotypic information to the size and count single EVs with no purification required. Purification techniques are broadly based on density, size, or precipitation, however, contaminants with similar size or density are indistinguishable from EVs. When looking for rare events or subtle changes in EV sub-populations, the variability and biases introduced through purification may limit biological understanding. ExoView eliminates biases by bypassing sample purification, and fully characterizes EVs direct from biological samples with high specificity, in low volumes, and with superior detection sensitivities. 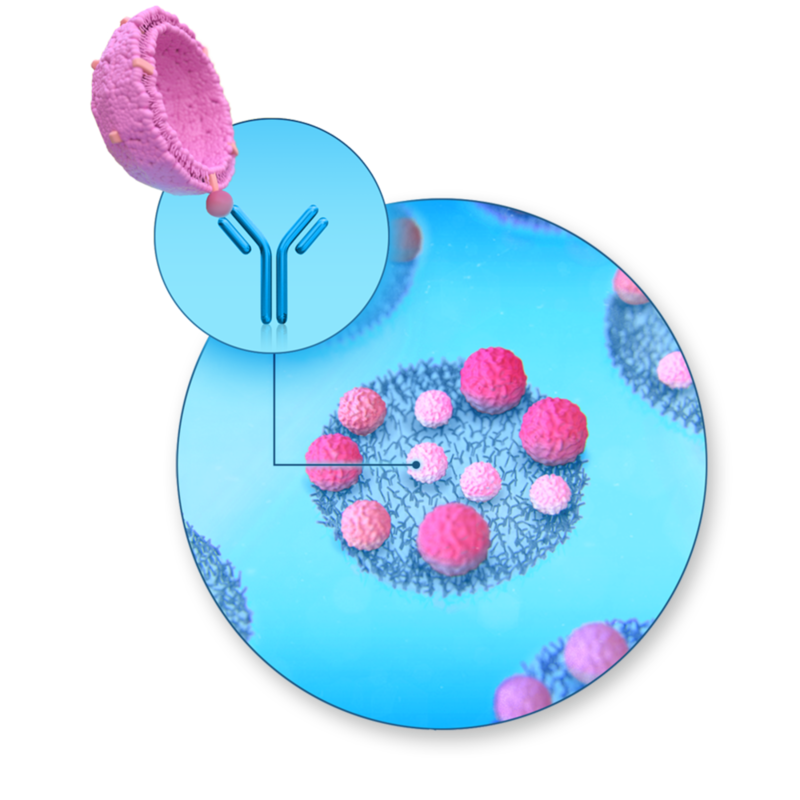 NanoView Biosciences has assembled an experienced team of technical, commercial, and industry experts. We have a wealth of experience within the extracellular vesicles field, and the broader diagnostic and life sciences markets. We are keen to engage with customers at all levels, so please feel free to get in touch with us to discuss your projects and research. We'd love to hear from you! We'd love to hear from you! Tell us more about your technical requirements, request a demo or A sample analysis.